The United Nations Development Programme (UNDP) is investigating claims from hacker group Team Poison that it extracted over 100 e-mail addresses and login details belonging to UN staff. 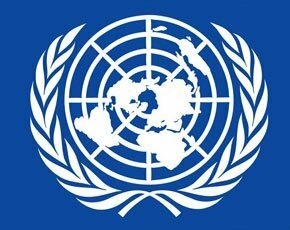 The United Nations Development Programme is investigating hackers' claims they extracted over 100 e-mail addresses and login details belonging to agency staff. The group, calling itself Team Poison, published the information online. Team Poison criticised the UN, which it denounced as a fraud, according to the BBC. The group also accused the UN of acting to "facilitate the introduction of a New World Order" and asked: "United Nations, why didn't you expect us?" The United Nations Development Programme (UNDP) said the agency believed an old server containing old data from 2007 had been targeted. The UNDP said the server had been taken offline even though the credentials did not contain active passwords. It emphasised that the UNDP.org website had not been compromised. The "hacktivist" group has been linked in the past with publishing private information about former UK Prime Minister Tony Blair, after Team Poison hacked into the website of Blackberry maker Research In Motion. The group recently announced it was joining forces with Anonymous for 'Operation Robin Hood', targeting banks and financial institutions to make donations to individuals and charities. IT security pundits say Team Poison’s actions serve as a reminder that so-called hacktivists are skilled and willing to collaborate to take down their targets. Older systems often hold valuable or sensitive data and should have updated protection.